Our fine aggregate consist of material finer than 3/16” general use includes concrete, hot mix asphalt, pipe bedding, stone paver bedding, landscape, commercial cinder block production and other applications. Production of our coarse aggregate begins deep in the heart of our pit mining in an ancient river bed. 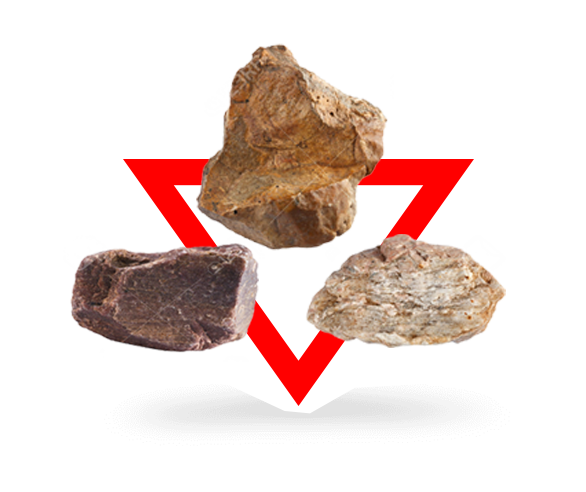 What starts out as boulders ranging in size of four feet to two inches is processed down to common graded aggregate. General use includes hot mix asphalt, DOT roadway construction, pipe bedding, MSE Wall Backfill, driveways, concrete, sediment control and other uses. Used for its structural foundation properties our Base meet or exceed DOT requirements including item 247 out of Txdot Standard Specification. Stockpiles are kept up with a minimum of 15,000 tons per pile for undisrupted operations.